Gregory A. Griffith, OD is dedicated to providing eye care to residents of Meadville, PA.
Gregory A. Griffith, OD’s practice is based on the belief that our patients’ needs are of the utmost importance. Our entire team is committed to meeting those needs with friendly service. As a result, a high percentage of our business is from repeat patients and referrals. We enjoy getting to know our patients in and around Meadville, PA. We welcome the opportunity to earn your trust and deliver the best service in the eye care industry. 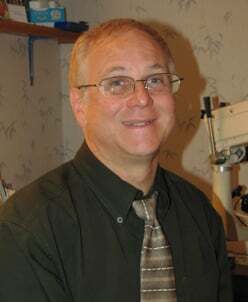 Dr. Griffith has been practicing optometry in the Meadville, PA area for more than 30 years. In his free time, he enjoys hunting, fishing, racquetball, and being with family and friends. Gregory A. Griffith, OD is dedicated to our eye patients in Meadville, PA. We look forward to working with you and learning more about your eyes. Give us a call today to schedule an appointment.